Kids love dinosaurs and our kids are no different! So we had to bring them to the National Dinosaur Museum in Canberra on our last visit to get their dino fix! And that they did! There were dinosaurs at every angle possible, from the minute you arrive and walk around the front of the museum or once you go inside. Those guys are everywhere! If you don’t have time to visit the Museum and want a quick thing to do, checkout the dinosaurs outside as it is FREE for anyone to walk there. Kids can take happy snaps with their dino friends! Once you are inside and you make your way upstairs, you realise that a lot of work has gone into putting the museum together, from real dinosaur skeletons, dinosaur statues, artefacts, dinosaur animatronics to fossils not available anywhere else in the world - it is packed for dinosaur lovers. And if you spend the time reading the information, the family will learn a great deal about those fascinating creatures. After the visit upstairs, kids can have a play in the small kids area downstairs where they can take photos in dinosaur eggs, help create large dinosaur puzzles, colour in and touch stones and gems. We did enjoy our visit, a great deal of information to take in and lots of dinosaurs to look at which was great and kept little Miss and Mister interested for some time. Little Mister was scared of the animated dinosaurs though but kept walking around to avoid them so be mindful young children might be afraid. The museum is smaller than we expected and in need of some repairs in parts as some exhibits were broken. The shop downstairs is quite extensive with a large range of fossils, minerals, stones, geodes and more so overall a good experience. 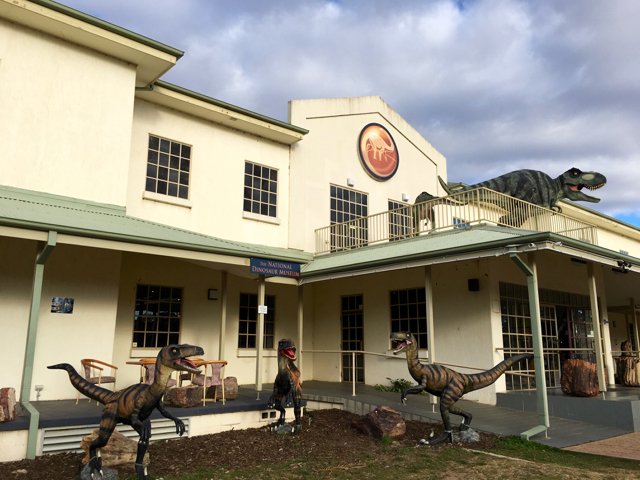 The National Dinosaur Museum is located in Gold Creek Village in Canberra. The Museum is open 7 days a week from 10am to 5pm. Ticket prices are as follows: Adults $16, Children $9.90, Concession $12, Kids under 4 are free and a Family ticket is $45 (extra child $5). Parking is free outside the Museum. There are toilets inside including a parents room. There is no café onsite. The place is pram friendly but it might be easier to leave the pram in the car in you have a carrier as the museum isn't very big. There are lifts to go to the first level though. Head to the Museum with a thinking cap on and lots of time to take it all in. Be mindful that young children may be scared of the animated dinosaurs. 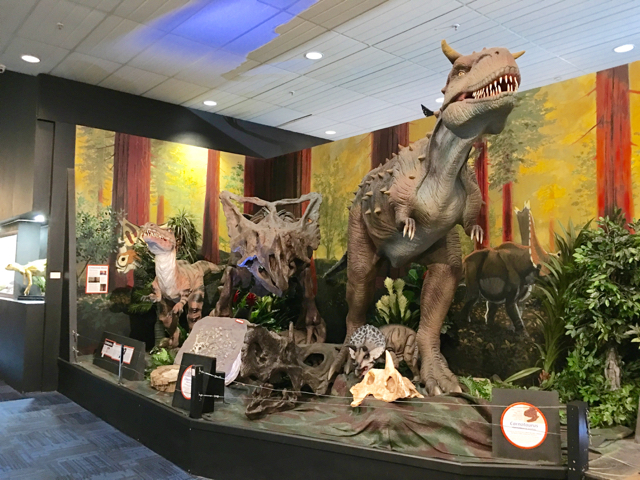 For more information on the National Dinosaur Museum, head to their website.